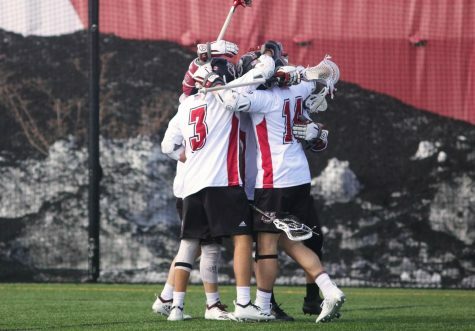 It took 47 years, but the Massachusetts men’s lacrosse team hosts Towson for the first time on Saturday afternoon in only the second meeting between the two teams. 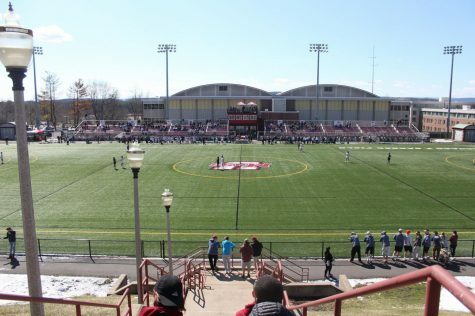 The No.7 Minutemen (7-2, 2-0 Colonial Athletic Association) are 1-0 against the Tigers (2-5, 1-0 CAA), and bring a four-game winning streak into Saturday’s Senior Day matchup, slated for 1 p.m.
UMass is 4-1 hosting teams at Garber Field, while Towson is winless in three road contests this season. UMass coach Greg Cannella feels the Tigers are victims of a tough stretch of games against some of the top teams in the country. 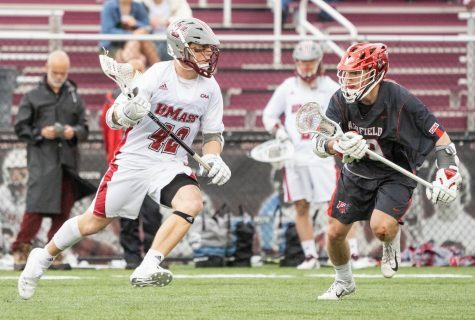 The focal points for opponents playing the Minutemen often center on stopping the high-powered UMass offense, led by sophomore Art Kell (21 goals, 12 assists). 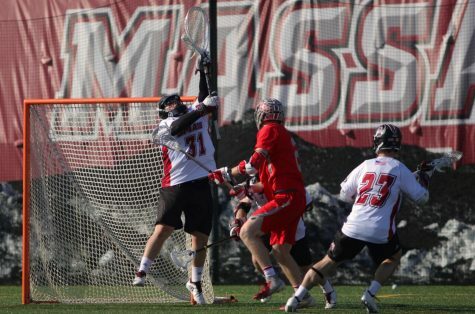 But, Kell missed the Minutemen’s last game, a 10-8 conference win over Penn State (1-8, 0-1 CAA). 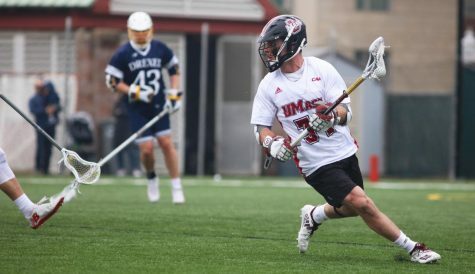 However Kell’s injury didn’t seem to affect UMass, which gained a 6-4 lead by halftime, thanks in part to attackmen Will Manny and midfielder Bobby Hayes, who combined for five goals and two assists on the day. As a freshman, Manny logs significant time for Cannella, in part because of his impressive scoring and good vision on the field. Along with Kell, Manny leads the team in assists this season. 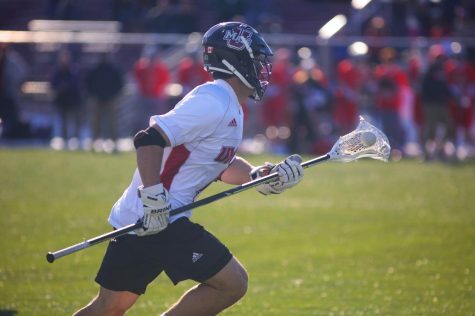 An under-sized player (5-foot-7) compared to the rest of his fellow attackmen, Manny’s speed is also an asset to a UMass team which averages nearly four more assists per-game than the Tigers. 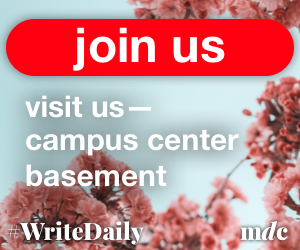 As offensively-stagnant a team as Towson is this season – their nine goals per-game average is a CAA-worst – Cannella doesn’t want the Minutemen to underestimate the Tigers as a legitimate threat. 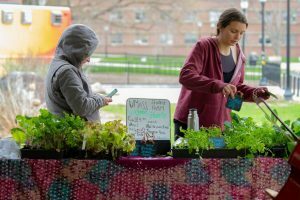 UMass has a conference-worst .405 penalty-kill percentage, allowing 22 man-down goals, but the Minutemen balance that with a CAA-best .469 man-up scoring percentage. 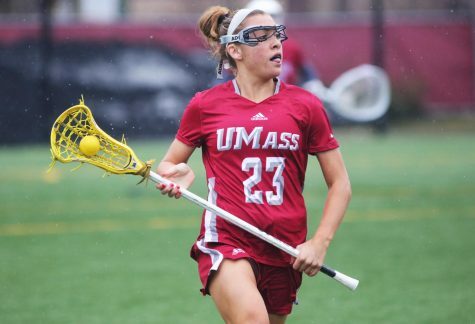 UMass has 15 goals in extra-man opportunities this season. The goalkeeping in the contest should be strong, too. Both redshirt sophomore Tim McCormack and Towson’s Travis Love average around nine goals-against per-game, and McCormack comes off a 12-save win against the Nittany Lions. 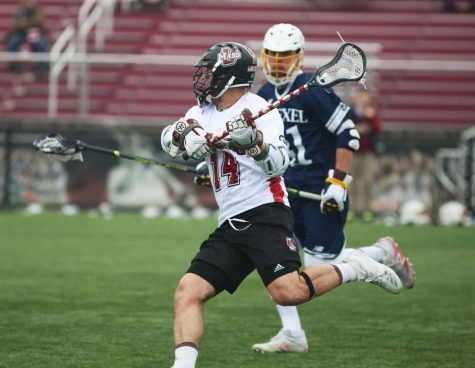 The win against Penn State marked another solid game for a UMass defense which had four caused-turnovers from All-American defenseman Diogo Godoi. 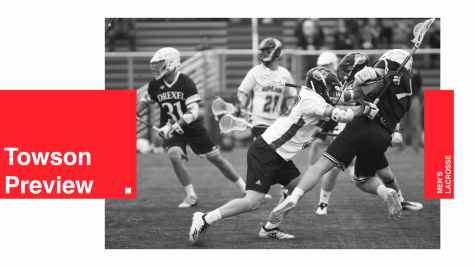 Between Godoi’s 16 caused turnovers this season and sophomore Tom Celentani’s team-high 21 caused turnovers this season, the Minutemen should trouble the Tiger offense, as long as their play in the faceoff circle holds up. 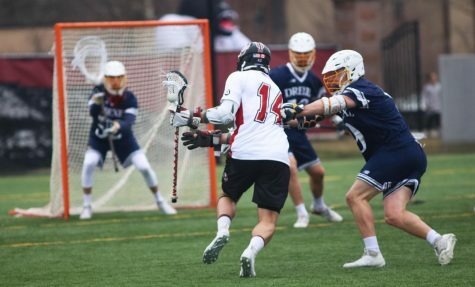 Sophomore Greg Rushing had a season-low 6-for-12 performance against Penn State, but still has a solid .584 faceoff percentage as the primary faceoff midfielder for Cannella. Opposite Rushing will likely be Matt Thomas, who has a .483 faceoff percentage. Christian Pastirik (15 goals, nine assists) and Will Harrington (14 goals, two assists) lead the Tiger offense, while Peter Mezzanotte has 13 caused-turnovers on the season for the Tigers.